After revolutionising the mobile service provider business in India, Reliance seems to be headed for the 4G laptop business. 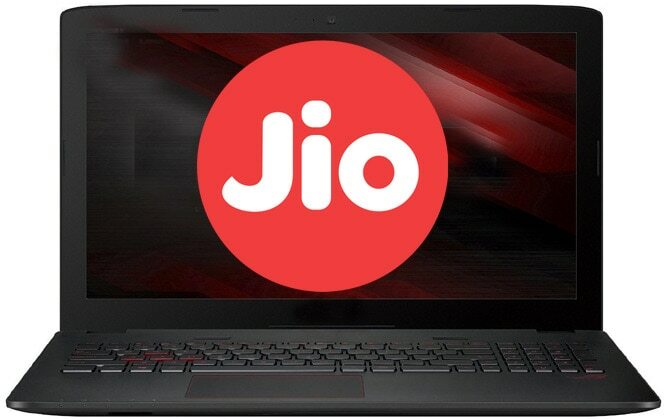 The company will soon launch the Reliance Jio 4G laptop. Reliance Jio has already created a revolution in the smartphone network carrier market in India. With its unbelievable low fares for data and free calls and SMS services, the company is quickly moving towards becoming the top telecom service provider of the country. With this on one side, Jio does not stop coming with innovative business plans for the future. Recent reports reveal that Reliance Jio is not only stepping into the television DTH market but also into the 4G-enabled laptop sector. According to the latest reports, Reliance Jio has partnered with the Taiwanese tech giant Foxconn to come up with 4G-compatible “Mac-Book Air” like laptops. The company might introduce a 13.3-inch Full HD display laptop with 4G SIM card slot anytime. Since the laptop will be 4G compatible, it will also be equipped with an HD web camera for making video calls. A recent report by PhoneRadar said that the laptop would be as thin as 12.2 mm weighing just 1.2Kg. Also, it will be powered by the latest Intel Pentium Quad-Core processor equipped with 4GB of RAM and 128GB of flash storage and 64GB of eMMC storage. The laptop will come with a slim Chiclet-style keyboard sans the number pad. It is said to be made of a magnesium alloy full body and will not carry a cooling fan. Apart from these, the Jio laptop is also said to be compatible for Bluetooth 4.0 connectivity. The laptop will also sport two USB 3.0 ports, microSD card slot, and a micro HDMI port. According to reports, the Jio laptop is being tested with Windows and Chrome OS. It is notable that Jio laptop will be the first 4G-compatible laptop in India. However, Xiaomi has already launched its 4G Mii Notebook Air in China last December. The upcoming laptop is said to offer up to 150MBps of internet connectivity speed.